Email marketing enjoys a very high return on investment due to its very low cost per message sent. The fact that you can literally send millions out at a relatively low cost and the ease of automating it and customizing it makes it one of the most cost-efficient marketing methods out there. However, it can be easy to ruin your conversions by making a few minor mistakes. Here are 4 ways to increase conversion rates on your email marketing campaigns. While we remember the importance of mobile-friendly websites, we often forget how often people check their email while looking at a marketing email. If the email isn’t compatible with a mobile device, it is unlikely to be appreciated (or read) by someone on their smartphone. It certainly won’t be shared via social media or forwarded via email to their friends. 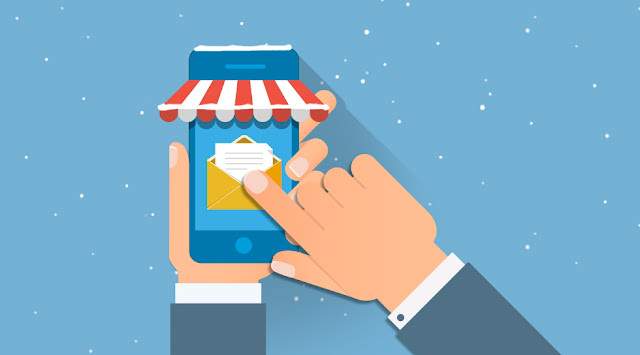 You can make your marketing emails more mobile friendly via a few tricks. Keep the subject lines short enough to be displayed via a smartphone, such as when reading in an email app. Ensure that the call to action buttons are bulletproof, so they always run on a mobile device. Use larger fonts and a single column layout so the emails are as easily read on a mobile device as a personal computer. And adopt mobile-friendly content strategies like small image file sizes, a single good image instead of many barely relevant images in the content, periodic whitespace to make it easy to read and broken up text to make it easier to skim. Email marketing needs to be as carefully analyzed and tailored as your social media marketing. Consider applying the same marketing analysis you use for SEO to your email lists. Tailor the keywords and general formatting of the content and subject lines based on the demographics of the audience receiving the email as you do the landing page. This will dramatically improve your conversion rate. And use the same A/B testing you do for landing pages and content sent to repeat versus new customers with marketing emails so you can identify exactly what works with each market segment. Your marketing emails need to be targeted based on factors like the quality of the subscribers, their demographics and market segments. Quality should matter as much as the quantity of emails. You’ll improve the conversion rate if you improve the quality of your email lists. For example, study the open rates of your emails and identify what factors lead to a higher open rate. How many people open the email matters more than how many receive it. Actively monitor and update the list so you don’t send emails to addresses that mostly bounce. Make sure you quickly add those who subscribe so you keep the connections strong with those who are interested and have the respect to remove those who unsubscribe. You can maintain the connection and ensure the quality of your list by surveying them based on their interests, then using that information to better market to them instead of sending increasingly irrelevant marketing messages to people. One way to improve the quality of the email list and customer engagement is the double opt-in. This is where you say you’ll send them an email and require them to secondarily opt-in to receive marketing content. They enter their email address to receive the email, and then they receive an email containing a call to action button they have to click. The first benefit of this is that they have to make certain the email doesn’t go to the spam filter or get it out of the spam folder. That ensures other marketing emails aren’t automatically filtered. The second benefit is that they’re conditioned to look for your email and click it, improving the odds they’ll click on it later. And you ensure that your email list is full of people who made a conscious choice to subscribe while weeding out those who put junk email addresses in the email address field. The conversion rate for content, whether mailed or emails, is far greater if it is personalized. This is why letters and emails that reference someone by name are always worth the minor effort to personalize them over a generic “occupant” or “dear customer”. People know this, which is why they almost always delete “to the current resident” snail mail and emails they know were blasted to a hundred thousand people. Yes, it takes effort to personalize the messages. You can send personalized messages using information in customer relationship management software combined with nice free email templates you can get from a variety of sources. The best ways to improve the conversion rates of emails are to personalize it, make the emails mobile friendly, and apply the same market segmentation and research to emails as you do websites and social media messages. Just by applying these few tips, you should be able to significantly improve your conversion rates in no time.